Japan is making some progress in its efforts to restore power to the quake and tsunami-damaged Fukushima-1 nuclear power plant. 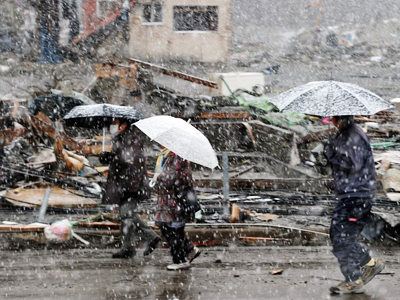 Police warn the disaster death toll may reach 15,000 in a single prefecture. Reactors 1 and 2 at the nuclear plant have been reconnected to electricity, but there is still no guarantee that the cooling systems will work. It may take days before power is restored to the most troubled reactors, 3 and 4. Reactors 5 and 6 are said to be stable, with their cooling systems working. 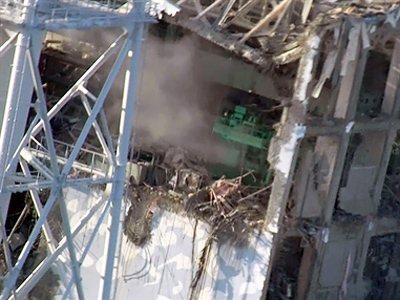 Restoring electric power is a key step to prevent further complications at Fukushima-1 nuclear power plant. It is crucial to reactivate the cooling system down in the reactor cores and in water tanks storing the spent fuel rods. Tokyo Electric Power Company (TEPCO), the operator of the plant, will check if the electricity goes through reactors 1 and 2 safely before trying to reactivate the cooling systems, which may have been damaged by the quake and tsunami on March 11, as well as the explosions at the plant which followed. Crews are still spraying water on the damaged reactors. The temperature inside the reactors has generally been decreasing. Earlier on Sunday, there had been renewed concern over rising pressure at reactor 3. On Saturday night, Tokyo Fire crews spent 13 hours spraying two tons of water on the reactor. According to the latest reports, the pressure inside the third reactor is increasing again. Now the only thing they can do is control the release of steam. 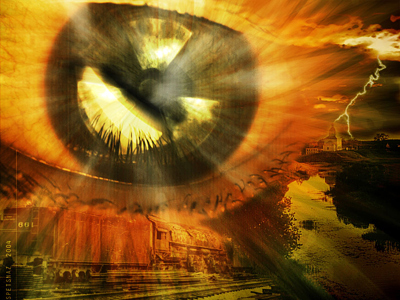 Radioactive substances also escape with the released steam. Traces of radiation have been found in the water systems in Tokyo and other parts of the country. The Japanese government has admitted it was slow to respond to the nuclear troubles, which added another crisis on top of the natural disasters that hit the country. The powerful 9.0 earthquake and 23m tsunami left over 8,000 people dead and displaced more than 400,000 others. Over 12,000 people are still missing, according to Sunday’s reports from Japan's National Police Agency. Police in the worst-hit Miyagi prefecture say they expect the death toll there alone to top 15,000. Although progress seems to be being made at Fukushima-1 nuclear plant, there is still much concern. The alert level at the plant was raised from 4 to 5 on the international 7-level scale of nuclear accidents by the Nuclear and Industry Safety Agency on Friday. The 1985 Chernobyl meltdown has been the only grade 7 accident. Grade 5 means that wider consequences are expected and the accident is no longer regarded as a localized problem. 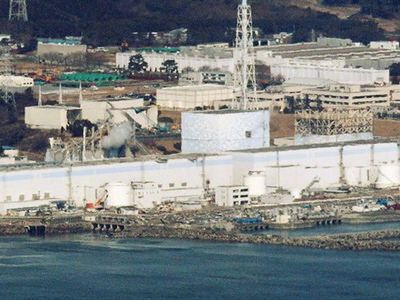 The operators of the nuclear plant had to raise the alert level as the cores of reactors 2 and 3 are believed to be damaged. The exact expected consequences are as yet unknown. The Self-Defense forces continue using water cannon, helicopters and fire trucks to spray water through cracks in the walls and roofs of the reactor buildings. Priority is being given to reactors 3 and 4, where the water level in the pool with spent fuel rods is believed to be dangerously low. If the water in the pools gets too low, it will trigger the exposure of the fuel rods which might result in radioactive substances leaking out. The Japanese government has attempted to reassure the population living over 30km away from the plant that their radiation risk is estimated to be zero per cent. The ministry observed radiation levels of 0.5 to 52 microsieverts per hour within a 30 to 60 kilometer radius of the Fukushima-1 plant. These levels are all higher than normal, but not an immediate threat to health. However, readings of radiation inside the 30km perimeter are high: 70 microsieverts per hour on Thursday and 150 microsieverts on Friday. Experts say exposure to this amount of radiation for six hours would result in absorption of the maximum level considered safe for one year. Chief Cabinet Secretary Edano has promised the government will take appropriate measures if this level of contamination continues in the area for a long period. Radiation fluctuations at the Fukushima-1 plant itself are very unstable with peaks over 130 microsieverts per hour and lows of 3.74 microsieverts per hour as measured on Saturday morning. Meanwhile, several farm products from areas near the nuclear power plant have been checked by the government for radiation levels, Vice Health Minister Kohei Otsuka said Saturday. Three to four items, including spinach and milk, have come out with radiation levels over local standards of safety, but pose no immediate risk to human health, Otsuka stated. Traces of radioactive iodine have also been found in tap water in Tokyo, according to Japan’s Kyodo news agency. Japan’s Prime Minister Naoto Kan has refuted the allegations that the Japanese government is holding back any information regarding the crisis at Fukushima-1 nuclear power plant. "Concerning the nuclear power facility problem, we have been unveiling all the facts the Chief Cabinet Secretary and I were aware of," he said. "I must tell you that the situation of the Fukushima nuclear power plant does not allow optimism." 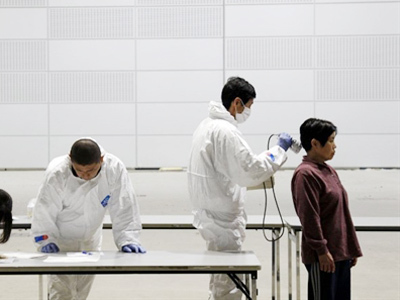 ­An expert on environmental and energy policies Robert Alvarez says there are many dangers lying within the stricken Fukushima station, making the situation there difficult to control. The efforts, Alvarez said, were ''improvisations on the playbook'' for stopping a nuclear meltdown. “The Japanese authorities appear to not still have control over this situation. They are taking measures that are desperate in nature… And it does not appear at this time they are working. The concern that I have had about this is the hazard of the spent fuel storage pools. The water has either completely or partially drained. 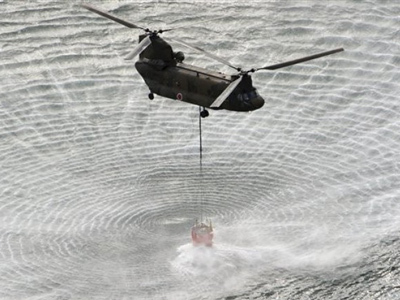 And it is likely that the spent fuel will catch fire, and it has already caught fire." ­The devastated country continues to be shaken by earthquakes. Over ten quakes have been registered in Japan on Saturday only. The strongest one at 6.1 magnitude hit Ibaraki prefecture, which is North of Tokyo and South of Fukushima prefecture. Local authorities have reported that nuclear facilities situated within the prefecture have remained intact.